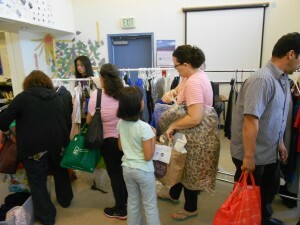 Venice Community Housing launched our Donation Center in 2012 to serve the needs of our low-income tenants and unhoused clients. 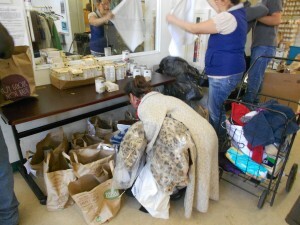 The Donation Center is open for “Shop Day” on the 3rd Friday of every month from 10am to 2pm. Shoppers are able to take what they need at no charge. Clothing (must be clean and in good condition). We do NOT accept undergarments or socks unless they are new and in their original packaging. Please make sure that all your donations are clean (we do not have laundry facilities) and in good condition. 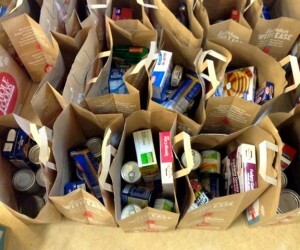 Donations may be dropped off at our office, located at 720 Rose Avenue in Venice Mondays – Fridays between 9 a.m. and 5 p.m.